What a great taco seasoning recipe. You’ll never go back to those “envelopes” again! This makes enough to season about 2lbs of ground beef, IF you like your seasoning on the mild side. I usually double or quadruple this recipe, because I like it hot, and there will be enough for the next time. Since you have to get out the 9 spices to mix this up, why not double or quadruple this recipe? Just store it in an air tight container. As for how much to add to the meat, eyeball it, and let it simmer 5-10 minutes before tasting for flavor. I prefer 3 Tablespoons per pound of meat… and it gets hot! Want it a bit milder for the family? Go with 2 Tbs per pound of meat. Anything less, and you won’t get the taco flavor. 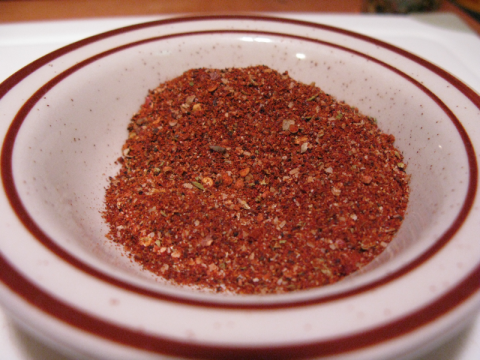 If you try this taco seasoning recipe, please let me know how you liked it by leaving a comment. I promise you, more than any other promise I’ve made on this website, that this is THE best taco recipe ever!